Corianne Rogalsky, Ph.D. is an Assistant Professor in the Department of Speech and Hearing Science at Arizona State University, a faculty member of the Neuroscience IGDP, and an affiliated faculty of the Department of Psychology at ASU. As director of the Communication Neuroimaging and Neuroscience Laboratory, Dr. Rogalsky's research program investigates the neural computations involved in speech and music perception, and how these processes interact with memory, control, and motor systems. Dr. Rogalsky uses functional MRI, high-resolution structural MRI, diffusion tensor imaging, and neuropsychological methods to study speech recovery in a variety of populations, including patients with stroke, aphasia, and/or epilepsy. Her lab is a member and data hub for the NIH-funded Multi-site Aphasia Research Consortium (MARC). Dr. Rogalsky's work has widespread clinical implications regarding treatment and diagnosis of speech disorders, as well as functional neuroimaging-guided rehabilitation programs. Megan Fitzhugh, M.S. is a doctoral candidate in the Neuroscience Interdisciplinary Graduate Program at ASU. She received her master’s degree in Physiological Sciences from the University of Arizona in May 2013. While attending the UA, her research focused on human brain-behavior relationships in the context of healthy aging using MRI paired with measures of cognition, behavior, and other health factors. Her current research focuses on the relationship between speech comprehension and executive functions in older adults. In her spare time she enjoys ceramics, trying to maintain her work-out routine, and cheering on the Arizona Diamondbacks. Arianna LaCroix, M.S., CCC-SLP is a doctoral student in the Speech and Hearing Science Department at ASU and a part time Speech-Language Pathologist at Nelson Pediatric Therapy. She received her master’s degree in Communication Sciences and Disorders from ASU in May 2015. Her research interests include speech processing in healthy adults and individuals with aphasia or other communication disorders. Additionally, she is interested in studying the effectiveness of music-based therapies for individuals with communication disorders. In her spare time, she enjoys being active and exploring the Arizona desert. McKayla Tully, B.S. is a Master's student in the Communication Sciences and Disorders program at ASU and a part-time Speech-Language Pathologist Assistant at Big Apple Speech Therapy. She received her bachelor's degree in Speech and Hearing Science from ASU in May 2018. 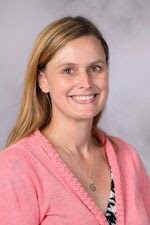 Her research interests include examining working memory skills in individuals with traumatic brain injury, as well as analyzing the speech processing differences between healthy adults and adults with aphasia or other neurologically-based communication disorders. In her spare time, she enjoys volunteering, drawing, and spending time with friends/family. Angela is a 4+1 student studying at Arizona State University's School of Biological and Health Systems Engineering and Barrett the Honors College. A native Phoenician, Angela is studying Biomedical Engineering with a minor in Chemistry. She hopes to apply to medical school in the next year. When she isn't studying, Angela likes to hike and paint the Arizona mountains. Cassie Rehwalt is an undergraduate student in the College of Health Solutions and the Barrett Honors College. She came from Richland, Washington to study Speech and Hearing Science with a minor in Educational Studies at Arizona State University. After working in a speech clinic last summer, she hopes to become a certified speech-language pathologist and open her own clinic someday. When Cassie isn't studying or working in the Barrett coffee shop, she likes to travel, play piano, and go on adventures with her friends.